In Germany, which has welcomed “guest workers” from the Middle East for decades, there are now some 3 million Muslims, most of them Turkish, and Berlin is the third largest Turkish city in the world. 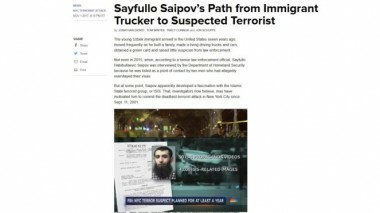 This may be the reason that Germany served as what the New York Timescalls “the haven of choice” for the terrorists who plotted and carried out the Sept. 11 attacks in New York and Washington. Just as the hijackers could mask their presence and plans in the United States because of the alternative social structures that mass immigration has created, so in Germany Muslim immigration served the same purpose. In France, where for years Jean-Marie LePen’s Front Nationale has warned against the dangers of mass immigration and where some 5 million Muslims now live, the enemy is within the gates. “Bin Laden for President!” shout Arab sympathizers of the mastermind of the Sept. 11 attacks, as Agence France Presse reported last week. “Maybe I don’t approve of what he did in New York, but when I saw him talking on television I thought, ‘What a great guy! '” says one, a 19-year-old computer technician. He and his friends have little use for strict Muslim fundamentalism but they seem to share Osama bin Laden’s political agenda. 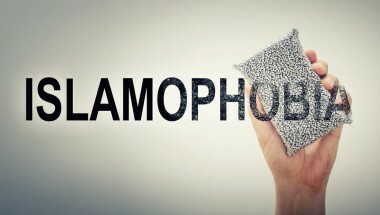 As the news story reported, “They are in many ways integrated into French society—their manners, clothes, habits of speech clearly place them in France—but are fired by a fierce rush of Arab and Islamic pride.” Once again, the fallacy of assuming that external assimilation is more than skin deep becomes clear. In Holland also, the Arabic and Muslim population offers critical support for the bin Laden network as well as for several other Middle Eastern terrorist groups. In fact, Muslim immigrants have invented what reporter Adriana Stuijt calls “a new form of terrorism against the civilian population at large.” “‘Muslim cultural organizations’ have turned the streets of Antwerp and Rotterdam into main battle grounds for Muslim-fundamentalist male criminal youth gangs who deliberately attack, rob and invade ethno-European cultural events and throngs of shoppers in the large shopping districts.” As the white European birth rate falls while that of Third World immigrants to Europe rises, the Muslims know very well whose continent Europe will soon become. It’s the Europeans who don’t have a clue. In Rotterdam, she reports, “These gangs target major shopping districts and traditional European cultural and sporting events to rob, terrorize and abuse especially the ethno-Dutch population. During these organized attacks, the youths are also seen to deliberately target ethno-European girls and women, demanding that they start obeying the strict Muslim shari’a laws favored by terrorist regimes in Afghanistan, Iraq and Libya.” In Belgium last summer, gangs of Algerian and Moroccan youths attacked Flemish citizens holding an annual fair. In Britain Muslims and Middle Eastern immigrants rioted in several northern cities. The sheer, unmitigated insanity of the massive immigration that both our own government and those of Europe have allowed should by now have become so obvious that lawmakers on both continents should be rushing to reverse it. They’re not. But since they were insane to allow immigration on this scale in the first place, it’s not surprising they’re still too crazy to stop it.